Blog / How are solar panels secured to my roof? POWERHOME Solar has done thousands of solar panel installations since opening in 2015, so we are well-versed in knowing how to attach the panels to your roof or ground-mounted unit so they remain securely in place and producing power for your benefit. 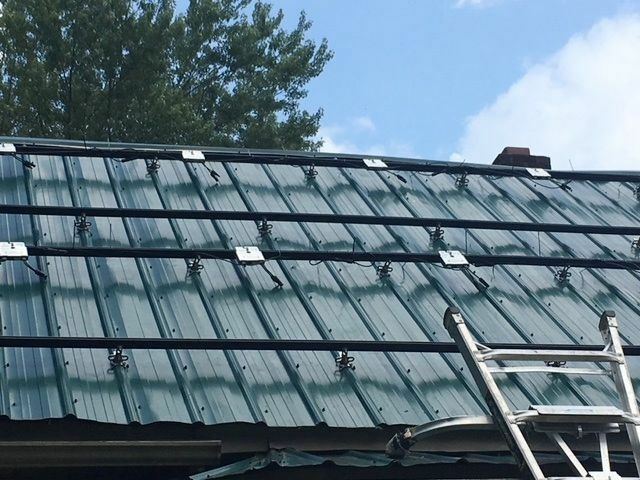 Solar panels rest inside metal racks that are attached to your roof or ground mount. Solar panels are not completely windproof, hurricane-proof or tornado-proof, but no roofing material is. We do know that panels are tested against extreme weather conditions, and even amid real-world conditions, they have proven to be quite resilient. You can see some racking examples below of both roof-mounted and ground-mounted units POWERHOME has installed. The most typical roofing materials POWERHOME encounters are asphalt shingles and metal roofs. The differences between securing panels to the two types of roofs involve the hardware used and the placement of the brackets. For shingled roofs, holes are predrilled into the rafters, and quick bolts are then used to secure the brackets to the rafters. For metal roofs, brackets are placed over the humps/ribs of the roof and then fastened with screws, with no need for the brackets to be attached to the rafters. The strength of the raised metal means the brackets that hold the roof panels will be secure. All brackets are treated with sealant to prevent leaks. 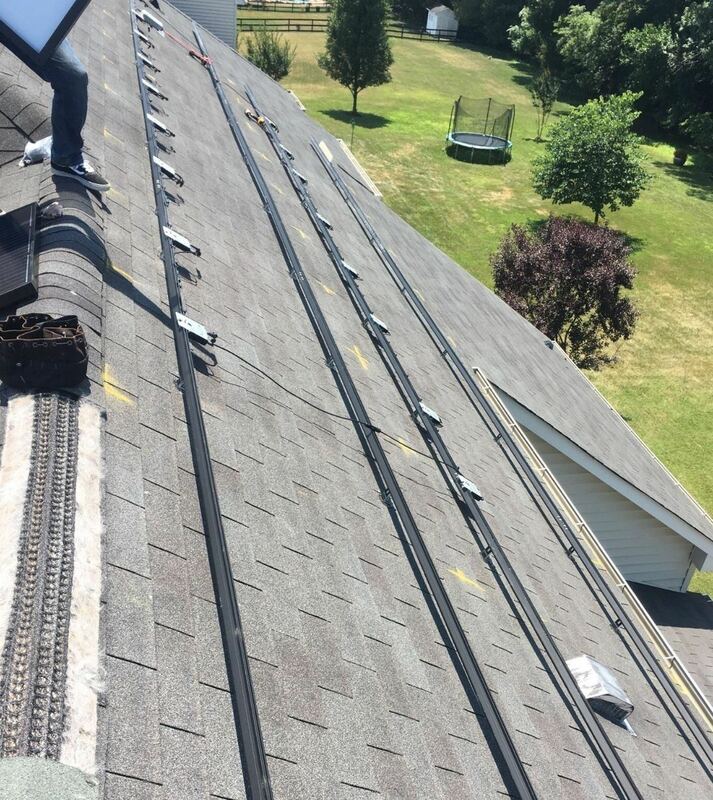 It may be concerning to have holes drilled into your roof, but do know this is how the process is done to ensure your panels stay in place. If Mother Nature delivers a fury that affects your panels, know that insurers cover solar panels, provided your insurer is notified of the installation and you have adequate coverage in place. 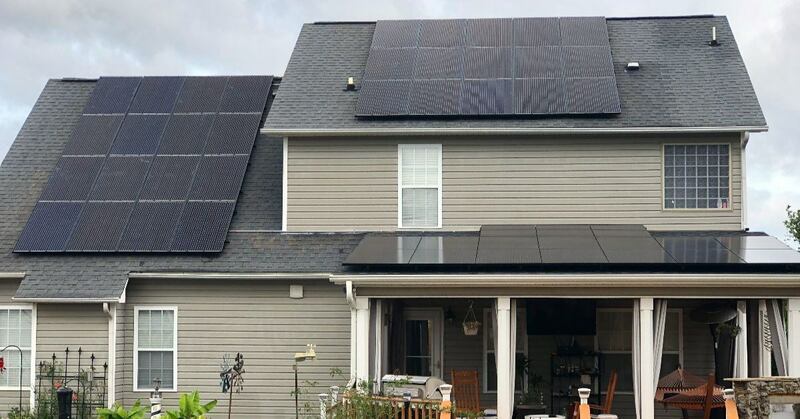 With our innovative solar program, homeowners in our five-state coverage area (Michigan, North Carolina, Ohio, South Carolina and Virginia) can go solar for $0 up-front cost, save money on their electric bills, and generate their own clean energy. 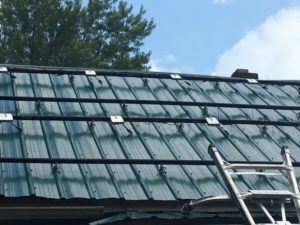 The solar panels installed on your home are American made and come with a 25-year warranty, with many panels expected to last well beyond that.